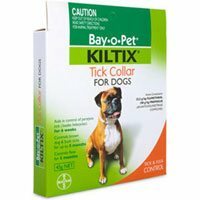 Manufactured by Bayer, Bay-O-Pet Kiltix is a specially designed collar for dogs and is used for killing, controlling and preventing fleas and ticks. It kills and prevents paralysis ticks for 6 weeks. A very effective tick control solution, it kills brown ticks, bush ticks and fleas for 5 months. It is 66 cms long and weighs just 45gms making it easy to wear. Bay-O-Pet Kiltix collar for dogs is an easy to administer treatment for brown ticks, bush ticks, paralysis ticks and fleas. 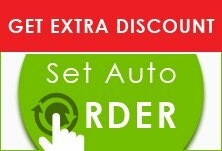 The pet should wear the high quality resin made collar continuously. Flumethrin, the active ingredient kills and repels external parasites found on the pet’s body and surroundings. This long-lasting solution provides adequate protection from fleas and ticks and saves dogs from fatal diseases. The collar prevents ticks from sticking to the pet’s body by creating ‘hot food’ effect. Although it is made up of water repellant material still to keep its effectiveness intact, it is advisable to remove the collar before bathing or swimming the pet. It is the perfect product for the people like me who don't like to use a topical solution on their dog. The effect of the collar is quite appreciable.